Latest post Wed, Nov 4 2015 6:00 PM by Fernando Sancho. 33 replies. Hey I am trying to AMA link footage from a sony PXW-X70 camera into the avid. I added the below plugin but it says that it does not work when I choose the xavc xdcam ama option when I do a ama link. If you look above this is the raw structure from the camera. Please let me know how I can get this footage into avid and keep the 10 bit rate. Since this camera was just put on the market, does the ama plugin just need to be updated? 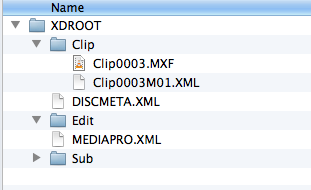 Let me know or any other ideas how to get this to AMA into avid or Natively import these files into avid. I am on a windows 8 and Running Avid 7.4.1. Aidas posted about a payed plugin, with a trial option, in another thread, do a search, doesn´t seem to be any takers yet, maybe in this thread. We work closely with Sony on a range of AMA plugins for Media Composer. Unfortunately, XAVC-s is not supported by the current batch of Sony AMA plugins. We have found that the MediaReactor plugin from Drastic Technologies (http://www.drastic.tv/index.php?option=com_content&view=article&id=58:mediareactorworkstation&catid=40&Itemid=80) is capable of decoding XAVC-s material in Media Composer. There is a free trial avaialble from their website. The Sony AMA plugin with support for the new Long-GOP XAVC codecs was released a month or two ago but there is a bug that affects PXW-X70 clips (PXW-X180 clips link normally). We will be posting a patch for this within the next 7-10 days at www.sonycreativesoftware.com/pdzk-ma2. Note that the other thread references XAVC-S, which is an .mp4-wrapped consumer variant of XAVC. This is slightly different from .mxf-wrapped XAVC-Long GOP and will not be supported by this patch. Ian, will XAVC-S ever be supported via AMA? Or will we need to keep transcoding it in Premiere, Squeeze, or Compressor in order to use in avid? This is not purely a Sony consideration but involves Avid's development schedule as well. XAVC-S is a consumer format and it is understandable that the professional mxf-wrapped XAVC codecs would be dealt with first. I will post an update here as soon as I have one. In the meantime our new Catalyst applications can transcode XAVC-S. Hope this helps.. Prepare has a free two week trial. Also I am working to get batch transcode put back into Browse. It was taken out at the last minute due to a development issue. what about avid codec support and correct sound transcode? I actually transcode xavc-s into xavc and after import via ama plug-ins, but the pcm 2 channel in transcoded to an 8 sound tracks? Prepare can transcode to DNx. 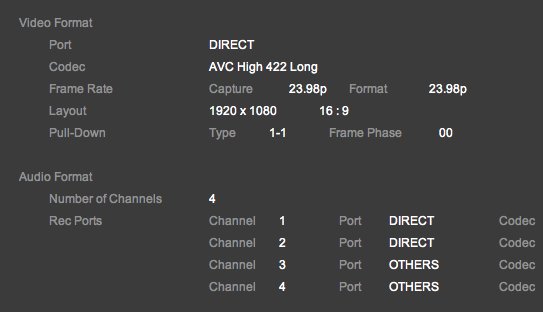 XAVC-I is, like XDCAM HD422, an 8-channel format. Disable the channels you don't need, either via loading from the Source Viewer or modifying the clips and disabling 3-8. And why i must spend 300$ (when I already spent 1000 $ in media composer)when with the same money I can buy a cross grade license of Edius with all kind (and xavc-s) of native codec support? Ian, thank you for the replies here. I look forward to future XAVC-S updates.